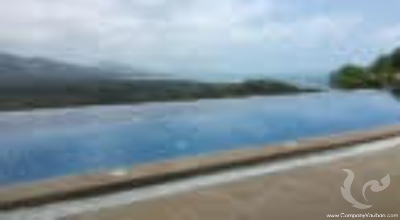 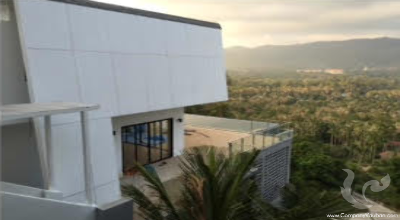 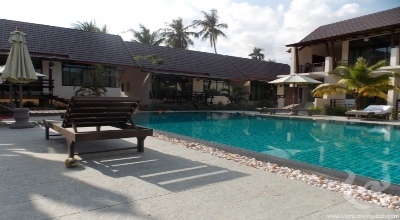 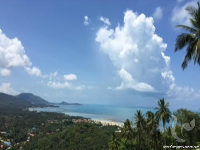 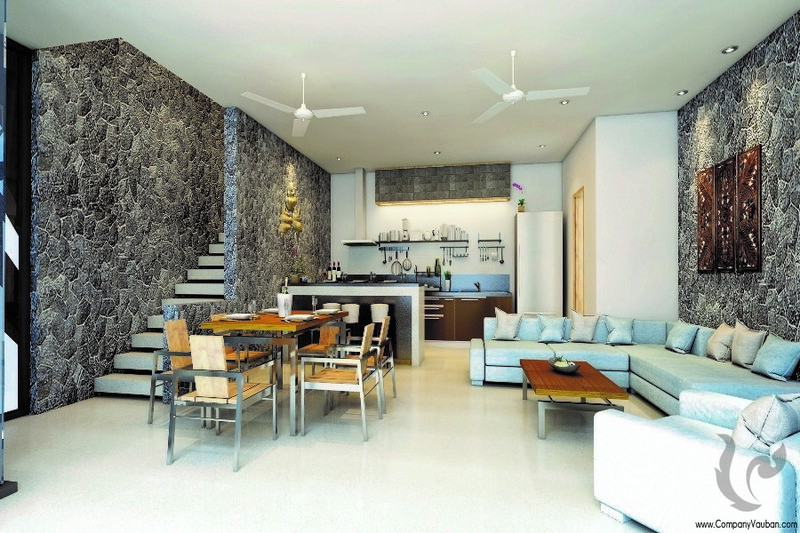 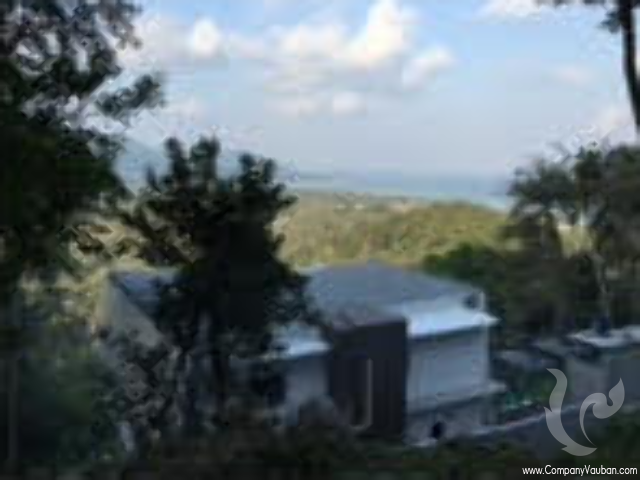 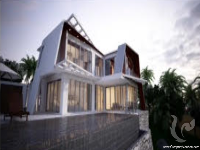 Nakara Villas is a development on the hills of Laem Set, a very quiet area on the island in the extreme south of Samui, well known for it is serene atmosphere, and spacious green lands. 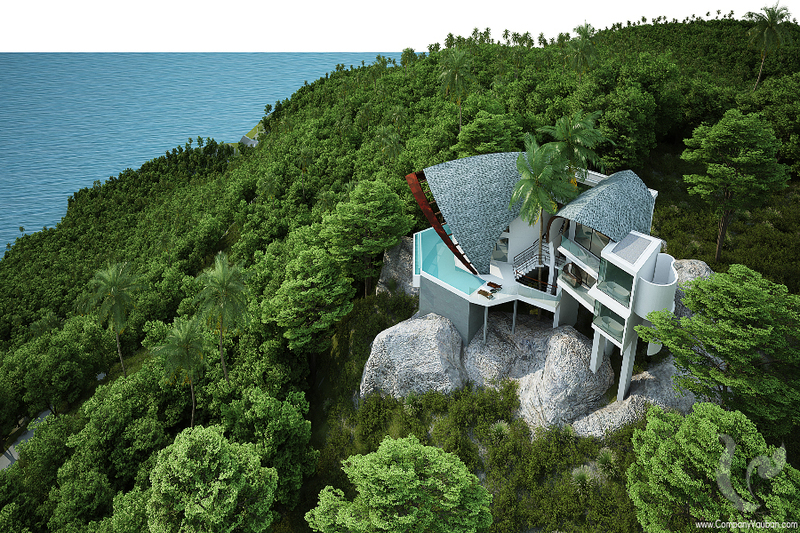 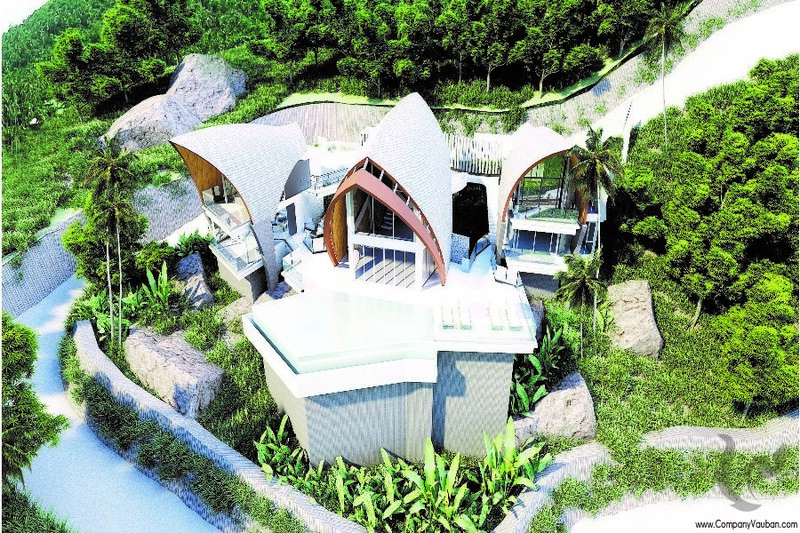 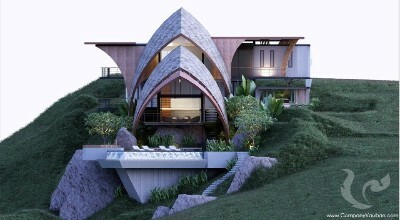 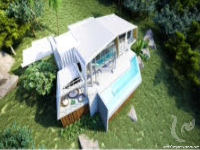 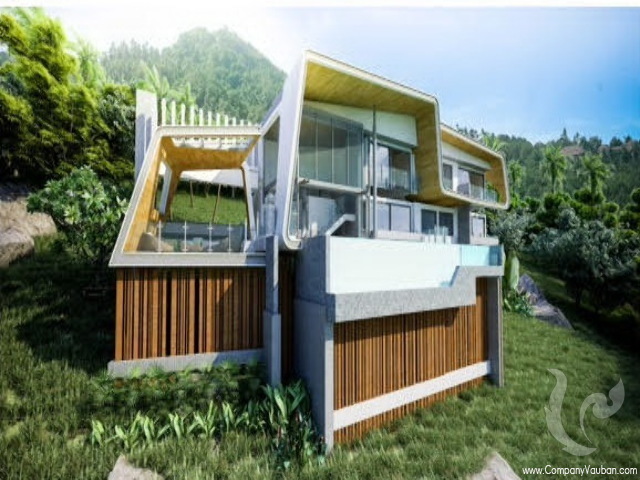 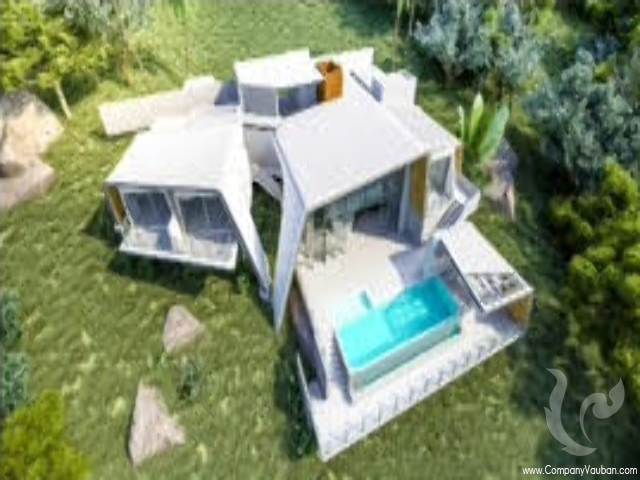 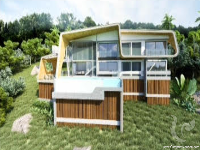 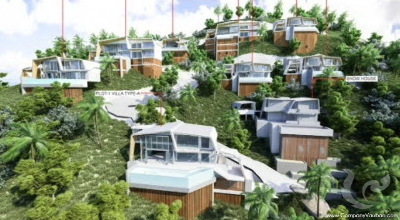 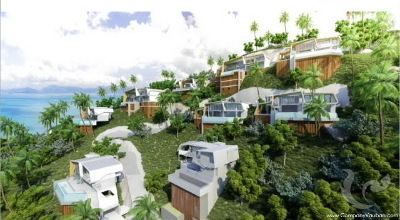 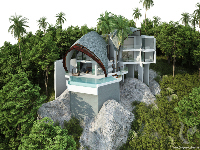 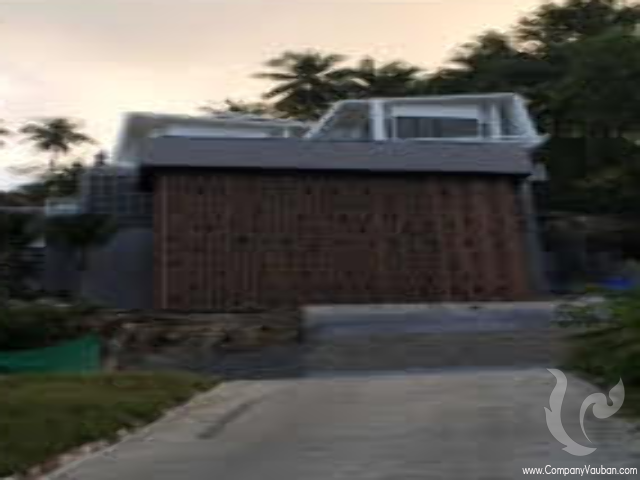 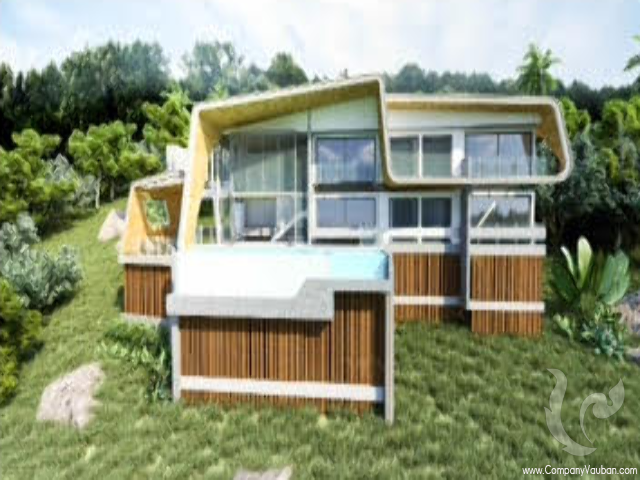 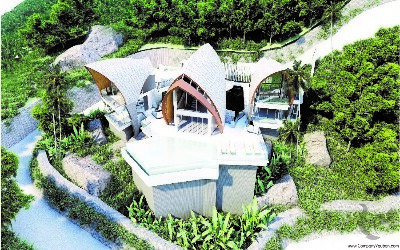 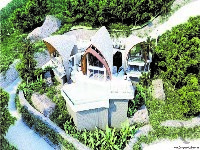 This is another successful project leaded and designed by the famous architect in Thailand K. Bodin, winner of many awards in Thailand for his creativity and unique villas as well as his new sustainable ways, introducing the green and responsible architecture of the future to Thailand. 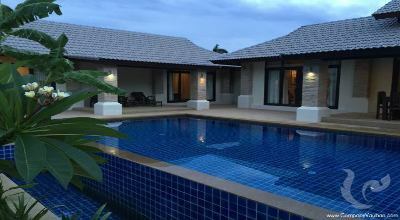 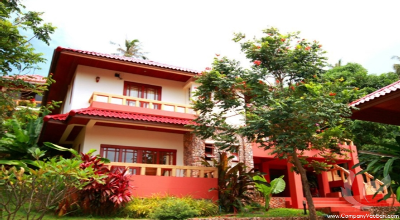 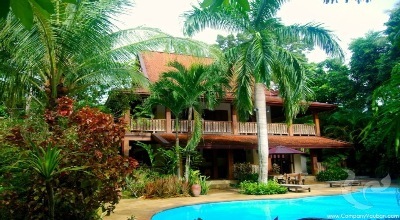 Nakara Villas consists of a secluded development of only 12 Deluxe villas, only 6 plots are available as of now. It is hard to find accurate words to describe the breathatking view, and the serene environment of the location of Nakara. Buyers will enjoy this amazing location far from the hassle and bustle of the touristy busy neighborhoods of Samui, and still only 15 min drive to Lamai area. 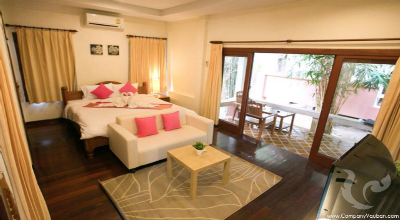 Nakara is surrounded by prestigious 5 stars hotels, villas and resorts, as Centara Villas, Samui Sea World, Sha Sa Residence, X2 beach Resort, Kamalaya Spa resort etc.. Important to mention that Nakara has a very convenient location close to one of the quietest beaches on the island, only 800m drive down will take you to the beach. The villas blend just perfectly with the green tropical landscape it is built on, on top of its unique design, protected by copyrights, keeping Nakara unique on the island. The interior design has been chosen with a high end taste, consisting of a modern contemporain design, featuring woods and rocks on walls, the large glass doors allow a full view on the sea and a bright villa. 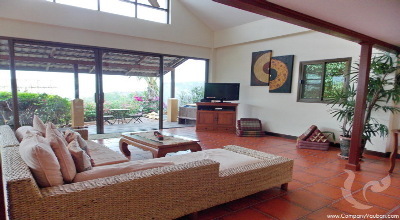 The green and natural scenery provides a peaceful feeling, while the villa itself offers an optimal comfort. Swimming Pool Size 52 m2. in The Decking & Balcony. Swimming Pool Size 65 m2. beach,maid service, room service as well as organize such services as a chauffeur, baby sitter, in-house spa treatments, tours and car and motorbike hire.In addition they will take care of bill payments for the owner’s accounts. 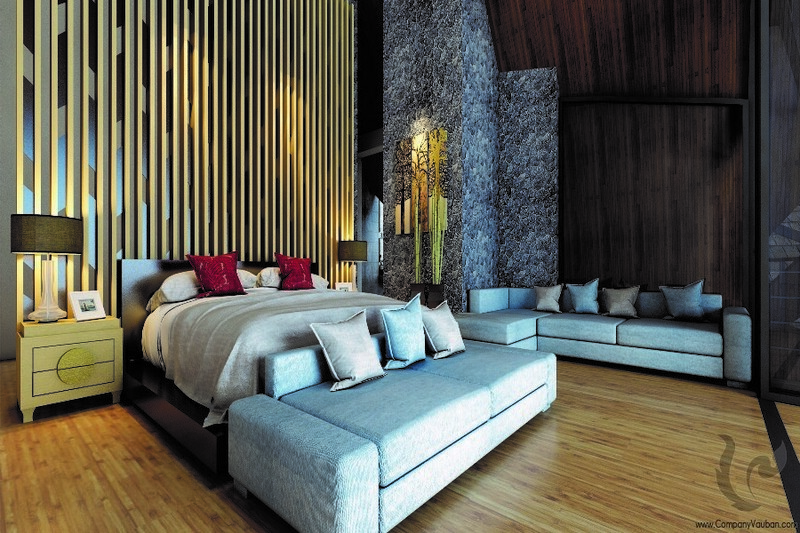 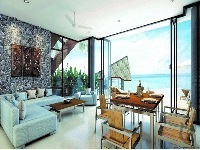 We will also offer a full butler service for our guests to truly experience Koh Samui fine dining. 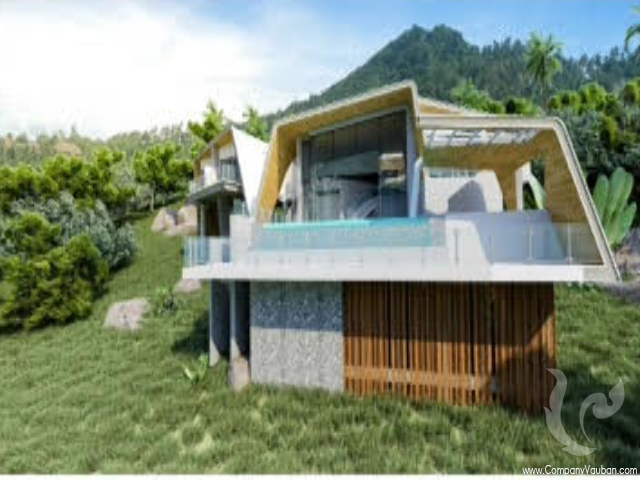 condition by maintaining all the cleaning and maintaining all the communal spaces, gardens,roads, walkways, generators, as well as providing pest control and hr security.In addition, 24 .for a small fee, we will be on hand to assist with any maintenance jobs within your villa light bulbs, hanging pictures and any other tasks that you need help with the sinking fund is a communal fund that covers unexpected repairs or replacement of communal equipment such as the generators and the electrical transformers etc.